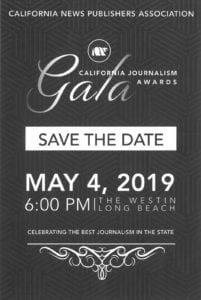 Time is running out to gather your best work from 2018 for the California Journalism Awards. Deadline for entries in the Print, Digital and Campus contests is Monday, Jan. 28. The new Digital contest was created to recognize the best online journalism from CNPA’s Digital News Media and print members. The Digital contest has 22 categories spanning a range of subjects where you can show your staff’s great journalism using the unique capabilities of the online medium. Contest coordinators from last year can use the same login information for the Print and Campus contests. If you are using the same email address as last year but have forgotten your password, please use the “Forgot Password?” link on the contest login page. If your publication entered the contest last year but you don’t have access to the contest administrator’s email from last year, please contact contest administrator Simon Birch, 916-288-6010. If your publication did not enter the contest last year, please set up your account using the temporary password contained in the entry packages. If you are entering the Digital contest, you will have to set up a new, separate account using the temporary password. Once logged in, you will be asked to create a new password. Print contestants: Once logged in, please make sure your publishing frequency (daily or weekly) and circulation are up to date so that you can compete in the correct division. Digital contestants: Once logged in, please make sure your average monthly unique visitors are accurate so that you can compete in the correct division. Need to make changes or have questions about the contest? Call or email Simon Birch at 916-288-6010. 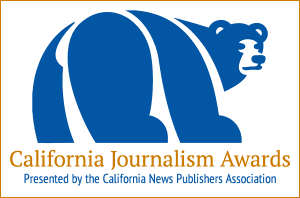 The California Journalism Awards BetterBNC contest system is provided by CNPA Allied Member SmallTownPapers, Inc., which provides excellent technical support.